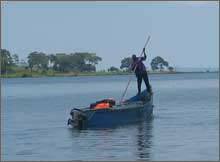 Uganda is the lush pearl of Africa on the northern shore of Lake Victoria where the Eastern African Savannahs meet the western rainforests. The natural wonders of the country include dramatic waterfalls, incredible wildlife including the last troops of mountain gorillas, and Lake Victoria, the second largest lake in the world. The people of Uganda are well known for their hospitality and warmth. Uganda ranks among the world's poorest countries and has little in the way of basic infrastructure such as electricity, running water, waste management, and access to education and healthcare. 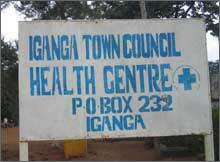 ELI works with local organizations based in Iganga District, about three hours east of the capital Kampala. 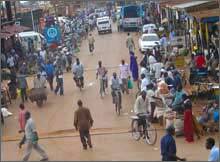 Iganga town lies on the Mombasa to Kampala Highway--one of East Africa's major transportation routes. The bustling highway gives the false impression that the town is teeming with traffic, but just a few hundred yards from the highway, cars become a rare sight and quiet village life takes over. The plight of the "Invisible Children" brought volunteers to Uganda in huge numbers, but it was only a temporary upsurge. 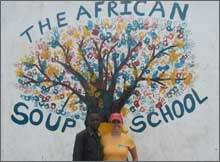 ELI Abroad began working there before the upsurge and continues on now, working with worthy projects in our base city of Iganga. You can volunteer or intern in youth projects and teaching, microfinance, women's programs, public health,or wildlife conservation. 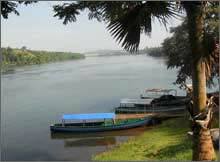 Take in the source of Nile river, just 30 minutes away on the weekend, checkout the mountain gorillas or Kampala, the booming capital. Volunteers and interns can choose from joining a wide variety of locally initiated projects. Whether you are interested in working with children or helping a widow's group learn the basics of accounting, living and working in Uganda will change the way you see the world. The field of Microfinance has received a lot of attention since Muhanned Yunus received a Nobel Prize after founding the Grameen Bank. 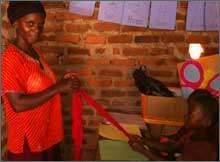 Thousands of microfinance institutions (MFIs) provide financial services at the community level in Uganda, usually through Savings and Credit Cooperatives (SACCOs). 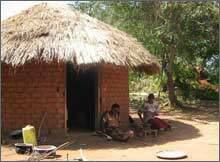 SACCOs have had mixed results--a few have been very successful while others struggle to survive. 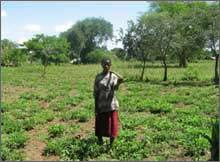 Interns in this program work in a SACCO with a successful track record. The first few weeks are spent working with the SACCO staff to get an idea of the day to day activities, the strengths of the organization, and to determine what projects within the SACCO to pursue during the rest of the internship. Interns can pursue a wide variety of projects in collaboration with the organization including business skills development, developing business plans, microfinance education outreach, and project monitoring and evaluation. Our volunteer Anders, talks of his experience here. Uganda has been hit hard by the AIDS epidemic. 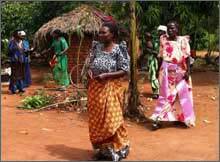 The countryside is dotted with villages abandoned after the disease raged through, killing many of the adults, but Uganda is seen as a success story in Africa. The prevalence of HIV infection topped out around 15% in the early 1990s and since then the official prevalence rate has dropped to around 6%. Interns with this project will work with social workers, health professionals, and community organizations devoted to providing care and support services to people affected by HIV/AIDS. Interns will accompany social workers on home visits, develop educational programs, assist with the distribution of Antiretroviral treatments, and pursue other projects. Participating in this project will give interns insight into the fight against AIDS in Africa as well as help interns to understand the human impact of the disease. Volunteers and interns work with doctors and nurses in a hospital or small clinic in Eastern Uganda. Interns will have the opportunity to gain hands on experience in a general care clinic while learning first hand about the challenges facing Uganda's healthcare system. Staff at the clinics will assign tasks based on the skills and past experience of the intern. Interns must have a demonstrated interest in wildlife management, zoology, veterinary medicine, or related field. Programs require at least a two week commitment with a 6 month maximum. Each additional 2 weeks cost $140. 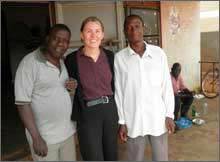 Volunteers in Uganda stay with local host families. ELI truly believes that this is the best way to fully immerse in another culture and get the most from an international experience. All families are carefully screened and are well-respected members of the community with at least one family member who speaks English. Participants will have either a private or shared bedroom with secure storage (volunteer must provide own padlock). Bathrooms are shared with the host family. Please note that bathroom facilities are going to be very basic. Participants will need to be prepared to use pit toilets and take bucket baths. Participants will be provided with breakfast and dinner daily. 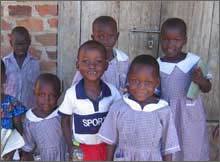 ELI's Uganda volunteers fly into Entebbe International Airport, located approximately 40 minutes from Kampala. While there are not set arrival dates in Uganda, the airport is 3 hours from Iganga, and we may request participants to attempt to time their arrival dates to coordinate airport pickups efficiently.